Varian 9300 Autosampler HPLC Liquid Chromatography . New Life Scientific, Inc. 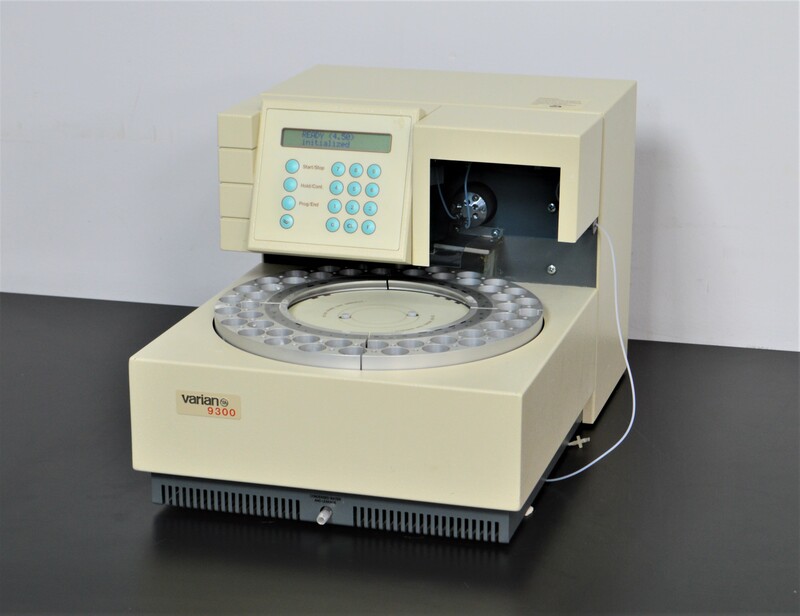 This Varian 9300 autosampler is in good working and cosmetic condition with minor wear and age. This autosamper has a small benchtop footprint and profile, allowing it to be placed onto any laboratory benchtop with ease. This is a great choice for anyone looking for a cost-effective, reliable autosampler. Our in-house technician visually inspected, initialized and tested the Varian 9300 autosampler, confirming it to be in good working condition. The control panel and buttons are fully responsive and the autosampler performed vial searches and samples accurately. 12 x 17.5 x 11"